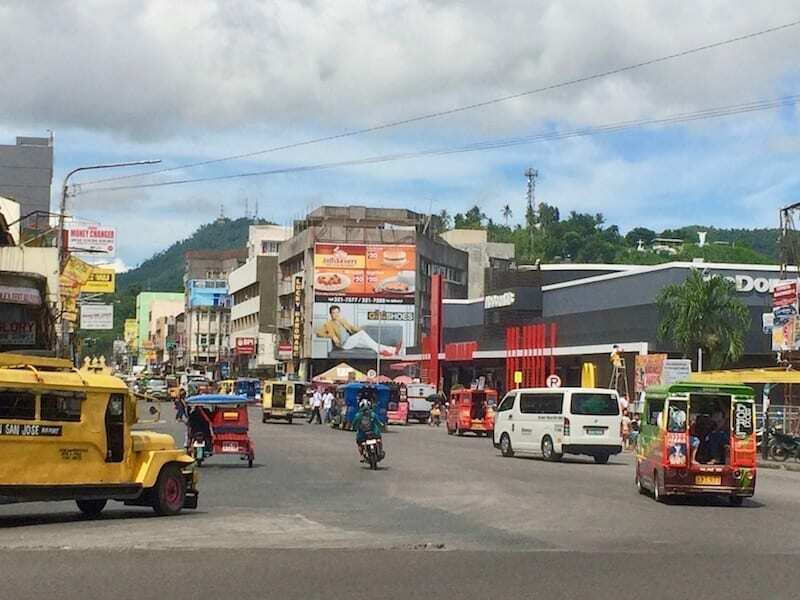 The city of Tacloban in the Philippines has a couple of distinctions. 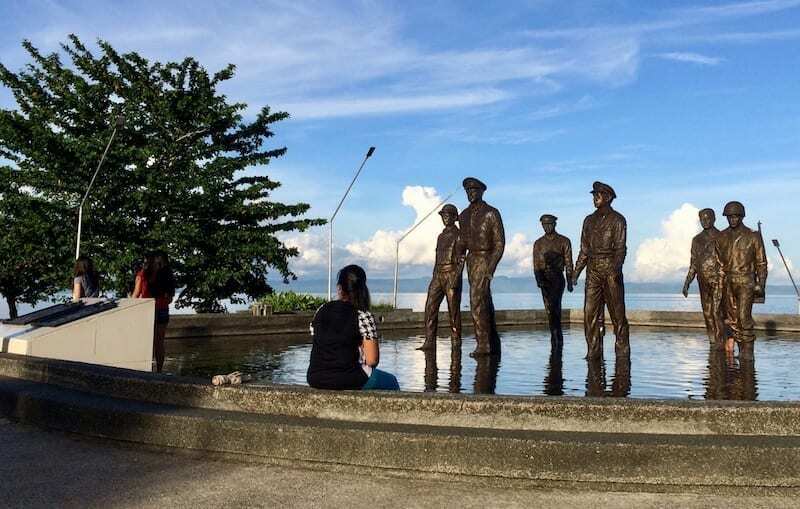 First, it was where the American General MacArthur landed when he returned to the Philippines with the liberation force during World War II. And so began the events that culminated in the Japanese defeat in the region. Second, it was the city that was levelled by Super Typhoon Yolanda in 2013, which was among the first of the high strength typhoons predicted by global warming climate models, and which are now no longer an uncommon phenomenon. The widespread and highly visible destruction of the likeable Philippine nation became one of the pivots shifting the world towards a greater conviction on climate change action. So it was rather fitting that when I visited Tacloban, it was also a kind of pivot for me, towards a new life. Tacloban is where the tides turn. When I was there, it was just two years after the typhoon, and the pictures of utter desolation. Tacloban had been cut off from help, because all emergency measures and infrastructure had likewise been destroyed. The strength of the typhoon was unprecedented. But when I arrived, the city was bustling again. There was almost no trace of the destruction in Tacloban City. You have to look closely at where facade repairs may have stopped short, a shop or a house here and there left ruined. You could visit the Eva Jocelyn shrine, a house-turned-memorial. Its inhabitants had all been killed when a ship struck the house during the typhoon. How’s that for a bizarre way to go? I stayed in a hostel in Tacloban, the Yellow Doors. It was my first time in a very long time. It was constructed after the typhoon through a collaborative effort, using mainly salvaged things from the aftermath of the storm. And so nearly everything from the sinks to the light fittings, book ‘shelves’ to coffee table, doors and and windows – all had a kind of flotsam hipster chic to it which I absolutely adored. Indeed, what is the point of taking more fresh material from Mother Nature, when what we have already taken can be re-purposed? I grew into adulthood in the time just before the recent social technological advances made budget travelling commonplace and assuring. Before the age of social media, TripAdvisor, online bookings, and mobile apps, it was quite a bit harder to work out if a random hostel halfway around the world was safe – or still existing. 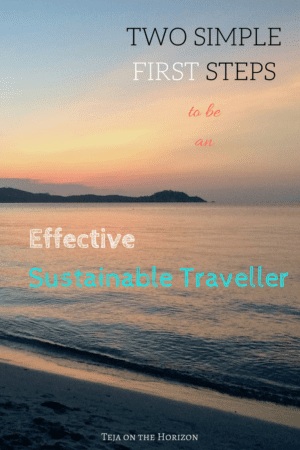 The reason why travel agents, hotel chains, tour agencies, and such ‘establishment’ or ‘corporate’ travel norms were norms before, is because these structures manage much of the traveller’s risk. You see, at that time it was too hard for the traveller to do it herself. So in my reality up until recently, the most intrepid accommodation a traveller like me would go for, is usually a B&B or guesthouse. And for most Asians – even today – you would travel with others. So even though I had stayed at youth hostels before, I had never done it solo. Until Tacloban. In the thick of my Blue Period, I had begun travelling again, more independently. I was resigned to life seemingly barring me from the conventional life plan. Perhaps I needed to learn how to be truly immune to becoming attached. Nonetheless, there were always safety nets of the familiar that I kept. I would typically travel alone – but to be received by a friend on the other end. Or I would travel with a friend, but then range alone when we arrived. And when I did travel entirely alone, I generally kept it within my own country. One day, I was in the neighbourhood of Leyte. I needed to fly out from Tacloban anyway. So I decided it was time to let the familiar go. I decided to spend some extra time alone to look around Tacloban. It was the middle of typhoon season, and the skies were still foreboding. So the hostel was quiet. Travellers were mostly only passing through. There was a European couple who kept to themselves, and an elderly couple doing Southeast Asia the way millennials do. They have waited for much longer than I, for the advances that make it possible to travel this way. I suppose it was good that way. At least I was only one little step out of my comfort zone, rather than several big ones straight away. It helped that the Yellow Doors was reassuringly decent and clean. As an introvert as well as somewhat socially challenged (yes, the two are separate things), it is not so much that introverts dislike social situations per se, although a lot of even enjoyable kinds are draining. It is that when unpleasant social situations occur, the effort of managing that, the assertiveness required – it’s just effort piled on effort. It’s simply easier to, er, eliminate the risk. So anything that reduces being forced to expend that mental-social effort, is unspeakably reassuring – like hostel rules. 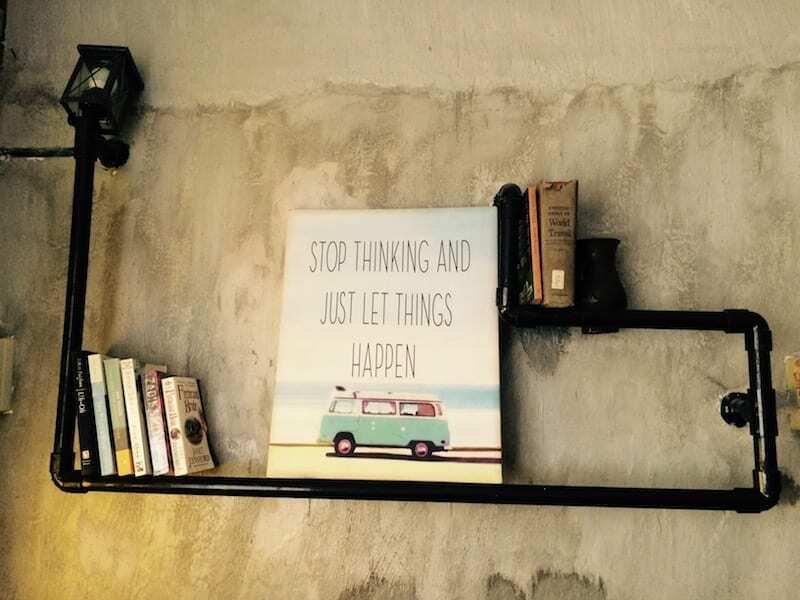 Just letting things happen is much easier if you kind of have the feeling that the worst case things are not catastrophic. Then, it is much easier for my neurotic brain to be persuaded to stop thinking. The landing memorial commemorates the arrival of General MacArthur near the turning point of World War II in the Pacific. There is a pleasant seaside park at this memorial for just chilling around. The pose of the statues is based on a famous photograph of the landing event. Philippine history is long, extremely convoluted, with many reversals. As part of a team outing during a work meeting, my local colleagues arranged a visit to a kind of diorama museum covering pretty much the entirety of known Philippine history. Trust me, it is long-winded, with many unexpected events and alliances, plot twists, and a surprising amount of violence. If nations were TV shows, I think the Philippines would certainly be a soap opera. Today we are accustomed to view with utmost suspicion, the arrival of foreign militaries ostensibly coming to liberate the population from oppression. Especially those from the USA. Indeed it is rare for any nation to go to the expense of a military effort without any expectation of gain for their own land. However, Filipinos seem to view this particular event as a genuine deliverance. A time when a general made a promise to a nation menaced by Japanese occupation, and the universe allowed him to keep it. You can easily get to the park from Tacloban by tuktuk or public jeepney. The stop for the public jeepney is at an intersection a short distance from the park. You can take a tuktuk just to the intersection rather than all the way to the city. The jeepneys seem to wait until they have enough passengers to be ‘full’ before heading back to Tacloban city. 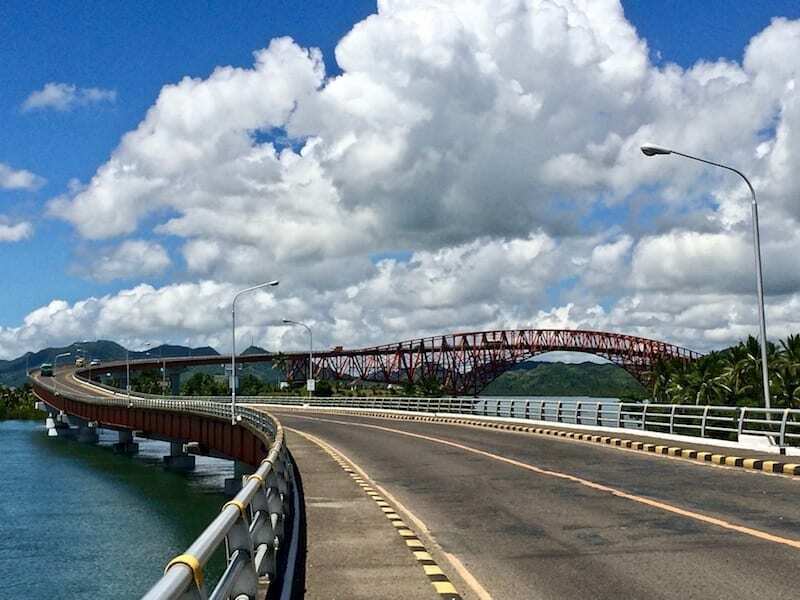 San Juanico bridge is the longest bridge in the Philippines which connect two islands. 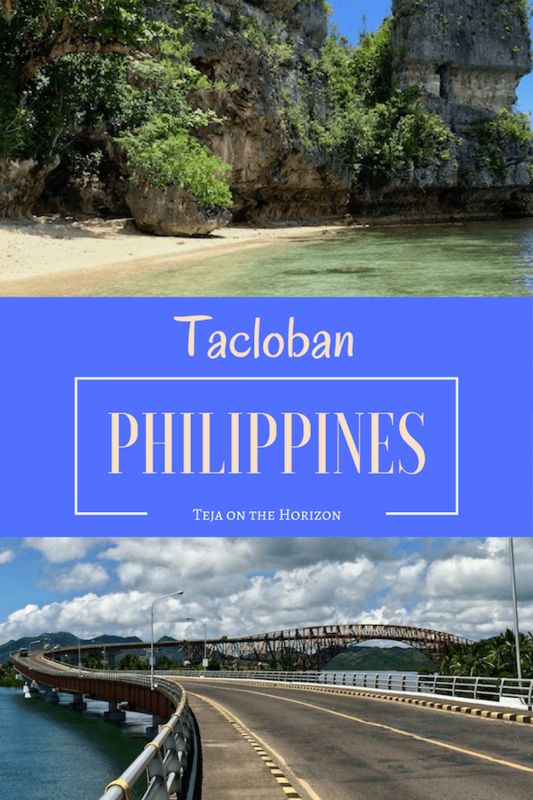 It links the island of Leyte – where Tacloban is – and the adjacent island of Samar. The unique feature of this bridge is its meandering curve construction, which renders it quite beautiful. It is very close to Tacloban City. You can take a taxi or tuktuk to the bridge and then have a walk or run across it. By car, it can be quite tricky to stop and take photos, depending on how much traffic there is that day. 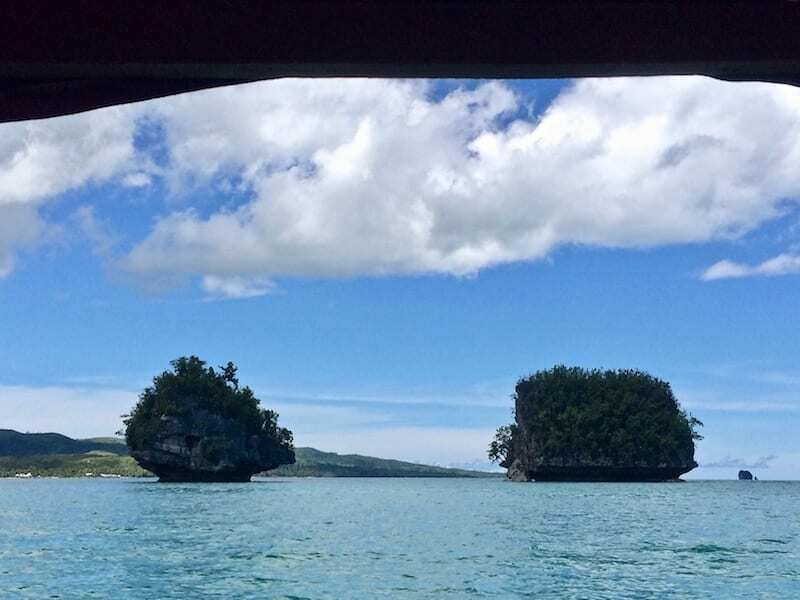 On the opposite of Tacloban, across the sea channel, is the Marabut coastline on the island of Samar. 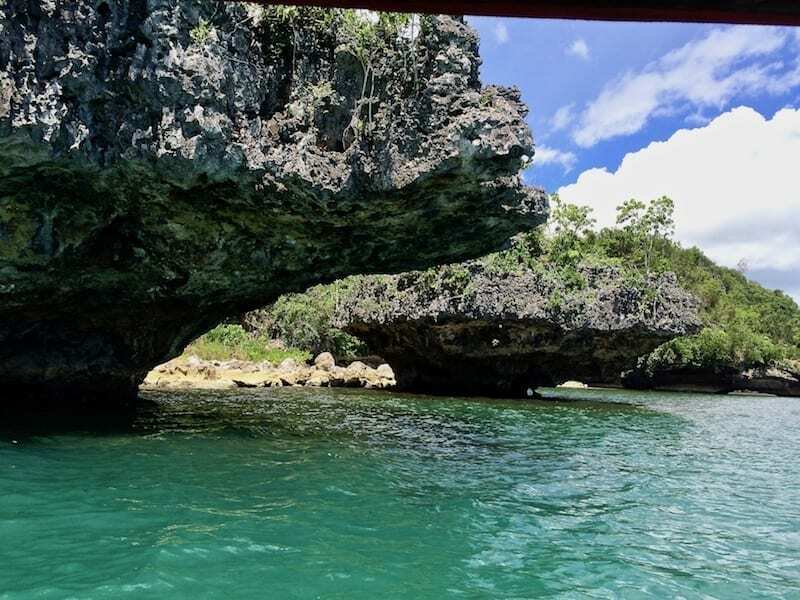 Scattered in this body of water are rocky islets that seem to bloom out over the water. Tidal movements wear away the rocks across the tidal range in a gradient, which create the dramatic overhangs. My favourite one was an islet that had (for some reason) a bit of stray vegetation jutting out that looked like a man about to jump to the next islet! The boat tour I arranged from the hostel linked me to the recreation desk of one of the many resorts lining the coastline. I had the boat to myself (although a couple of resort dogs tried to mooch their way onboard). The boat stopped at a little sandy strip on one of the bigger islets. If you wanted, you could have a picnic or a swim. What I did instead was wander off to the end of the strip to where the rocky parts began. This is where the interesting parts of the shore tend to hide, if you are patient and look close. 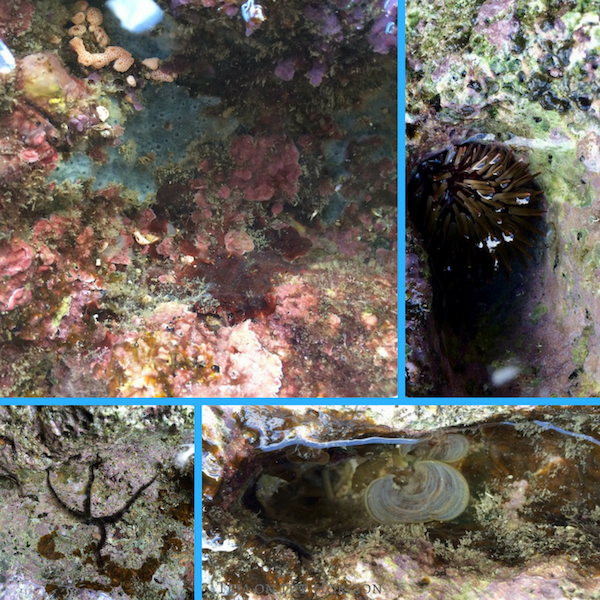 From top left, clockwise: Colourful sponge and calcareous algae; sea urchin crouched into a hole awaiting the tide; funnelweed in a rock pool; brittlestars. 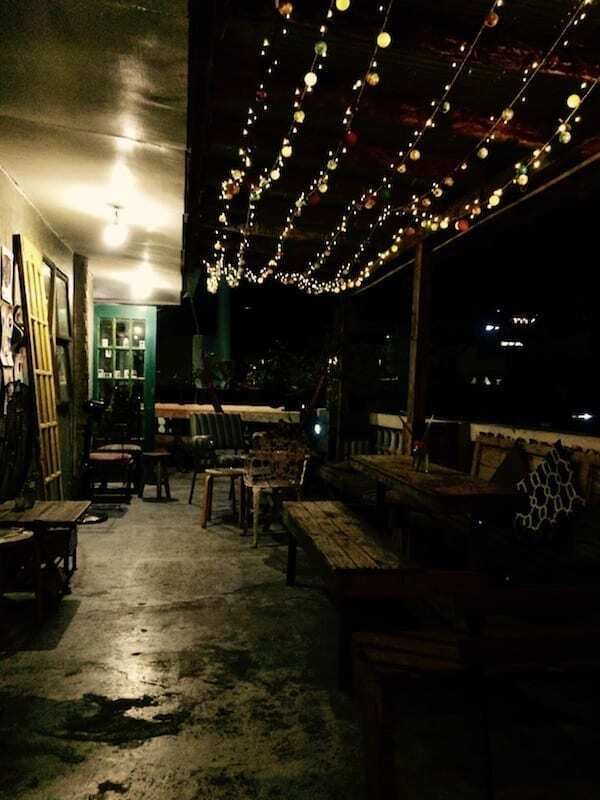 It is very likely that many readers would think, what is the big deal with a solo hostel stay? Those would be the readers for whom backpacking travel is the default of the world. It is something else when your default has been something different – and instead of staying there, you’re jumping ship to a new default. The first landings are always significant. For the changes you work on inside only manifest once you take the first action for a different reality. It is by action that you learn how to live your new self, just as a baby must actually try to make sounds and rise, to become a toddler. 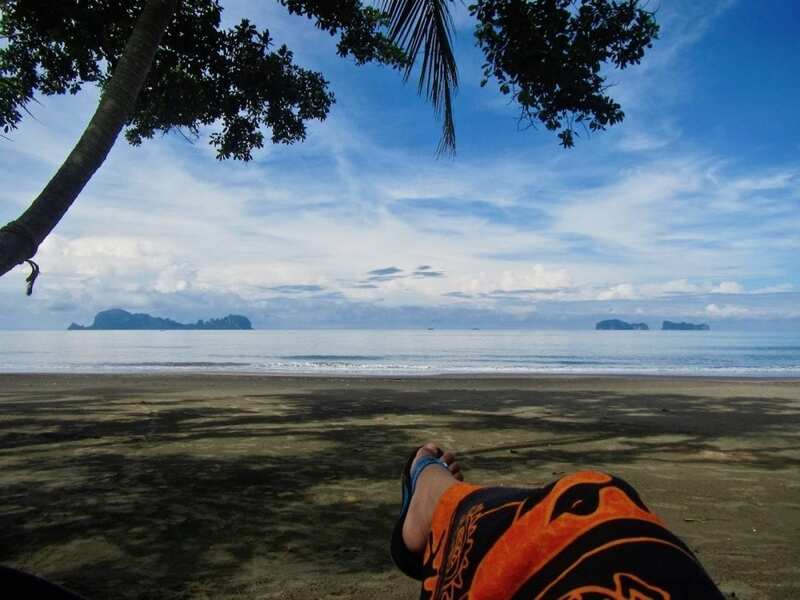 One year later, I took another major step of travelling abroad entirely solo again – but not for a weekend. And you might say that I have toddled back. *a quote from Prophet Muhammad, as narrated by Abdullah ibn Umar. Reported by Bukhari. 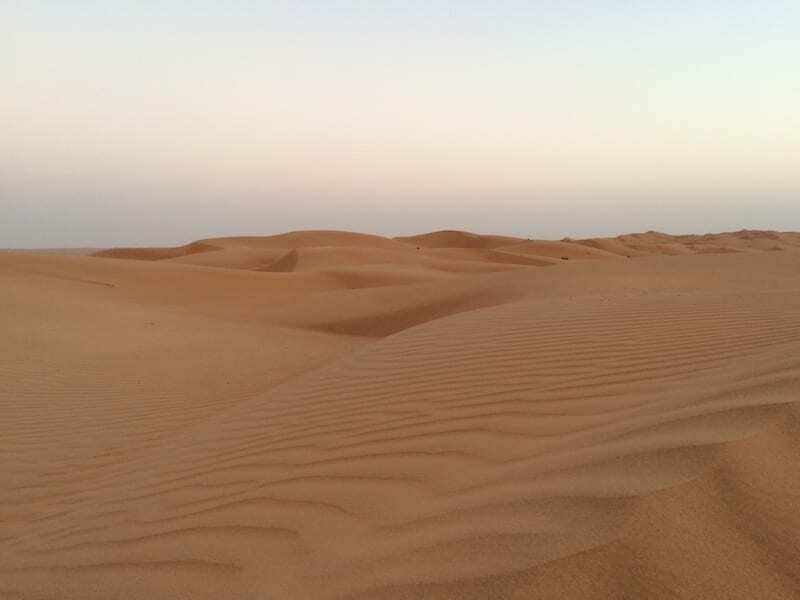 Dune Bashing and Quad Biking in Wahiba Sands! I was googling for a place in Den Haag(I live there) and somehow found your story of the man who asked you for food in Den Haag, after reading it I took a look at your other stories and this one got my attention, because I have been to Tacloban 3 times already. But somehow I never went close to San Juanico Bridge, I will make sure to do so next time I am there. I was also in Tacloban two years after the typhoon, and I also did not notice much trace of destruction, really amazing how they rebuilt the place that fast. There is a place called Calvary Hill In Tacloban, not sure if you went there but that’s the best spot to get a great view of Tacloban City. Hi Zai! Thanks for dropping by. I really liked Den Haag! I think the San Juanico is a pretty cool bridge. I don’t know why they built it meandering though. I never got to Calvary Hill, thanks for the tip! What a great experience for a first travel moment. Tacloban is definitively a place that is rich with history. When I visited the Philippines for the first time last year, I was intrigued by the “convoluted” history. 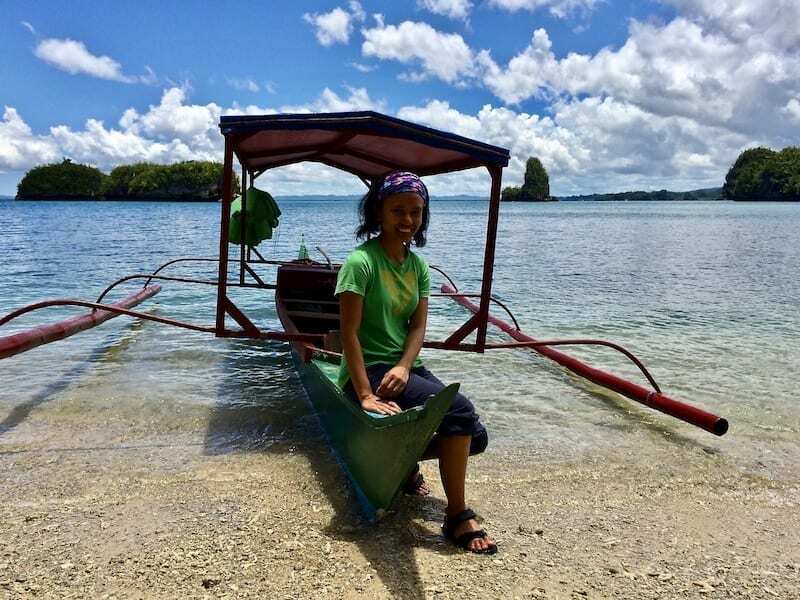 It sounds like Tacloban is the perfect place to explore more about the country. And for you, a great moment of personal reflection. Keep traveling and sharing your stories!! I may need to tell my dad we need to visit here the next time I visit the Philippines! I love the Philippines and am lucky to visit yearly, this looks like another place I need to visit! The south bit of Leyte reportedly has good diving. I didn’t go because it didn’t look straightforward to travel from the top to the bottom – I didn’t have time to do that. I feel like I know a lot of introverts who find socially fun situations very draining. I’m the opposite. I feel very energized and excited after coming back from those situations. I really commend you for getting out there, seeing the world, and enjoying things in your own way. The Philippines are stunning and it’s good to see them bustling after so much destruction in 2013. Yes I met someone this year who is exactly like that. But nope, it’s a cost for us introverts. No matter how great a time it was, we do run out of juice (and get a bit cranky). Like a cat! I’m impressed, only in 2 years the city is alive again. Did the bridge build before or after the typhoon? If it’s built before the typhoon, did it get damage or not at all? 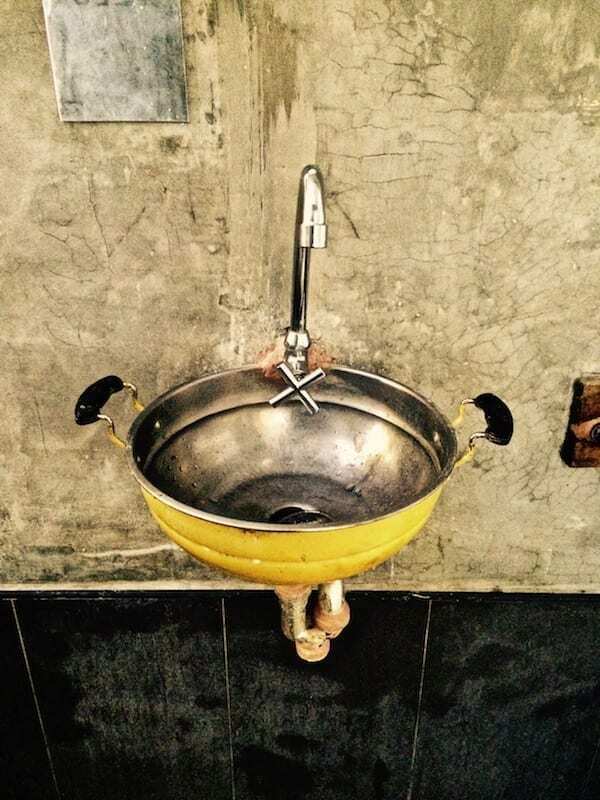 It was built before – but I guess either it survived the typhoon or the damage was quickly repaired. 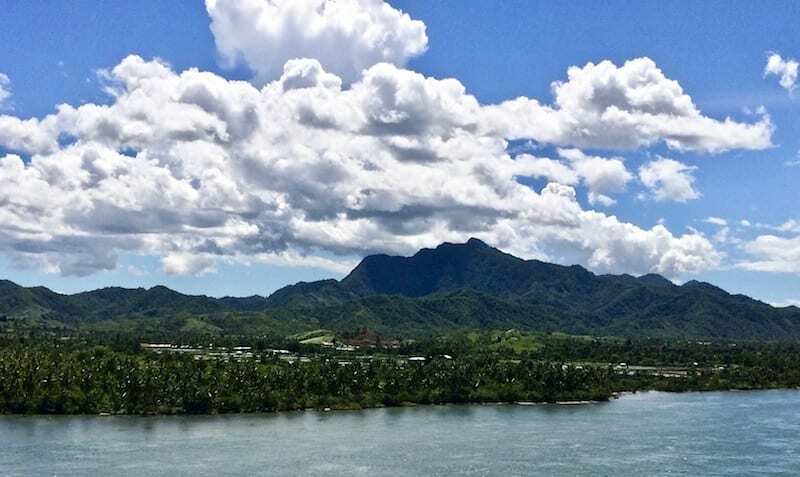 Tacloban looks absolutely gorgeous from your photos. I know it’s not something that you do a lot, but I really adore travelling solo. It means that I get to see and do what I want, when I want. I’m more likely to wander around exploring and getting lost. I think it’s a great way to see the world. Beautiful pictures and wonderfully told! Definitely on my travel list!